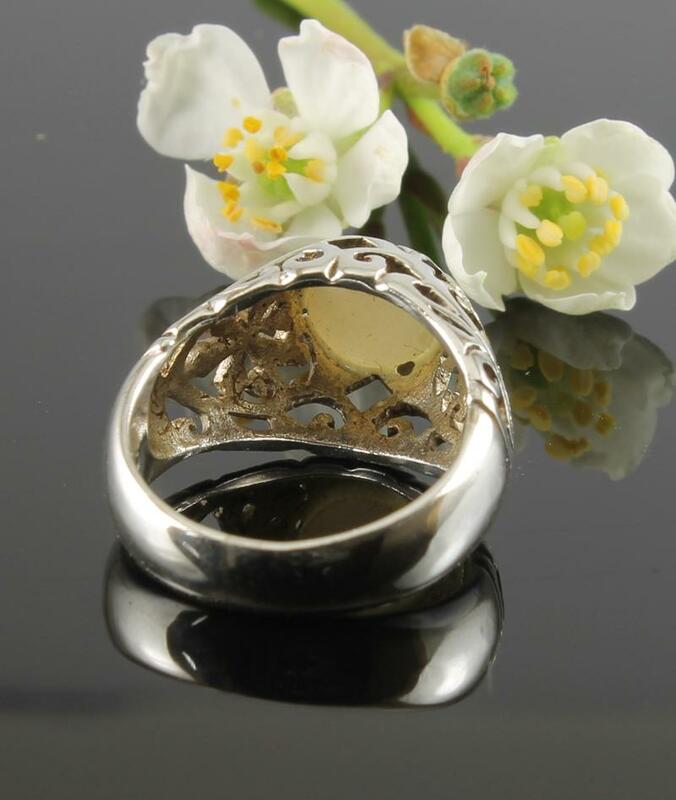 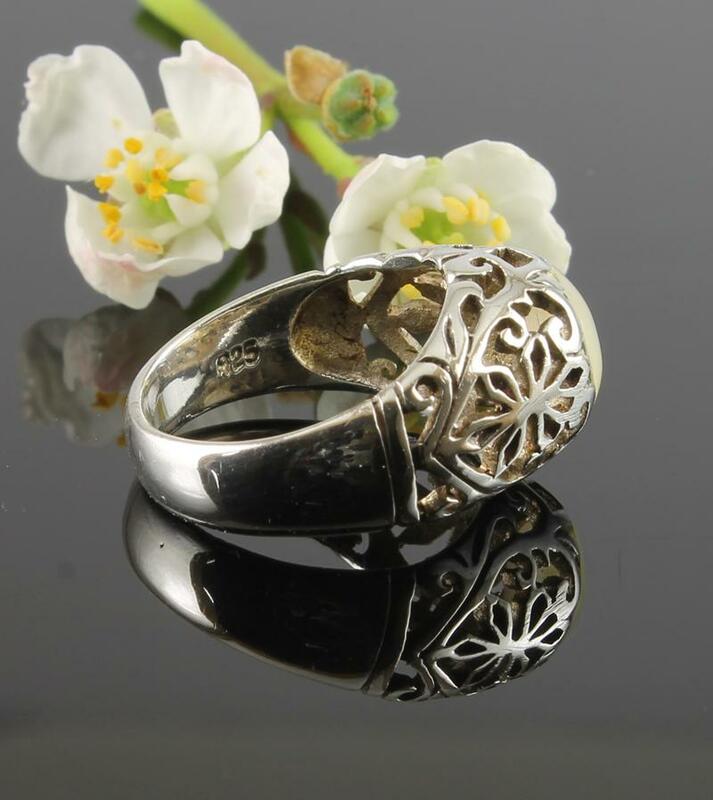 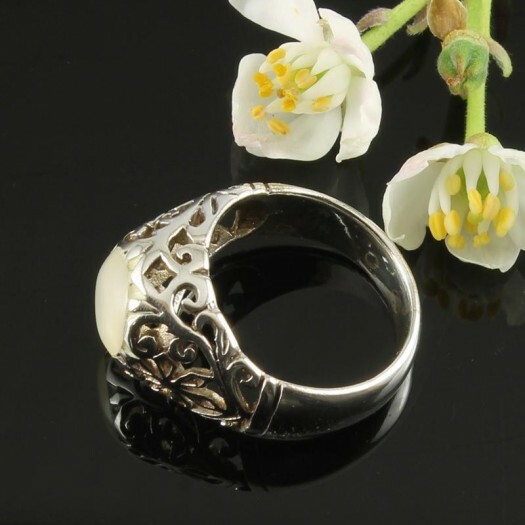 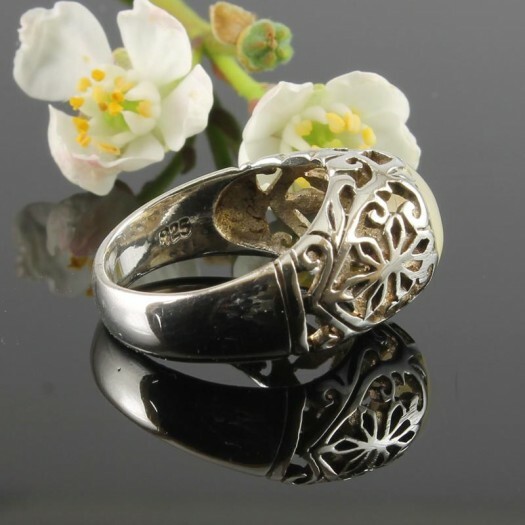 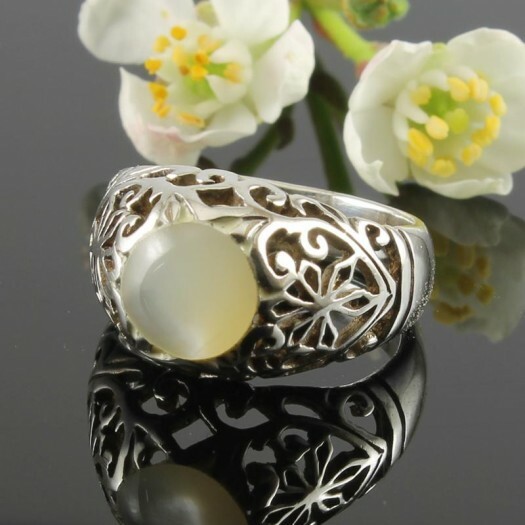 This intricately designed and crafted vintage-style ring features a raised, polished Moonstone circle, countersunk in an engaging, filigree openwork, Sterling Silver shoulder setting, on a D-shaped band. 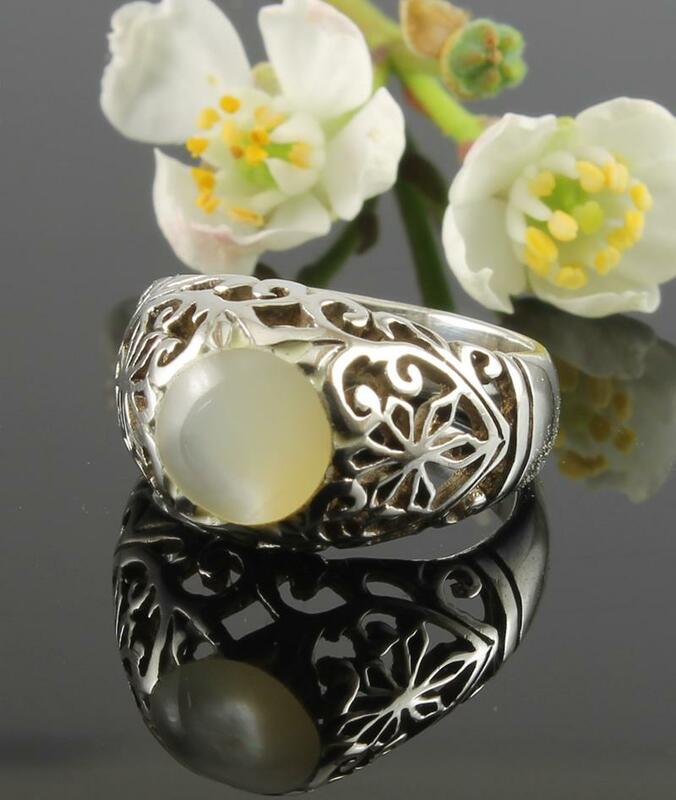 Like a piece of solidified moonlight, this Moonstone gem — the alternative birthstone for June — has a shimmering luminescence which emanates in a luna glow. 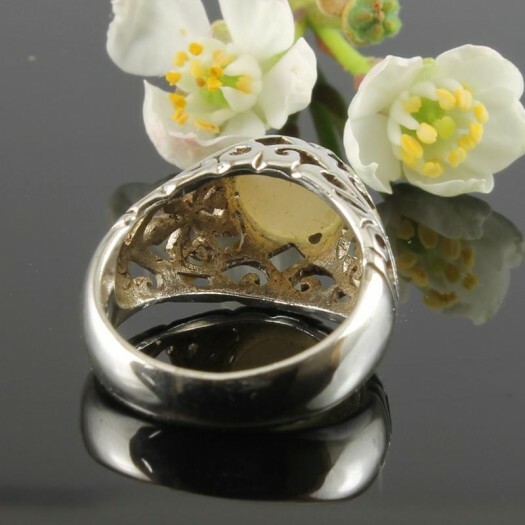 (This is called adulaescence, after an early Moonstone mine site at Mt Adula, Switzerland). 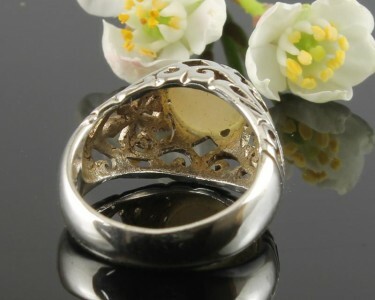 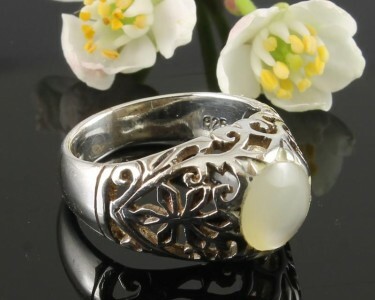 Size & Fit : Ring size: 5.5/L; Ring Width (widest point): 1.2cm/0.47in; Gemstone diameter: 8mm/0.31in. 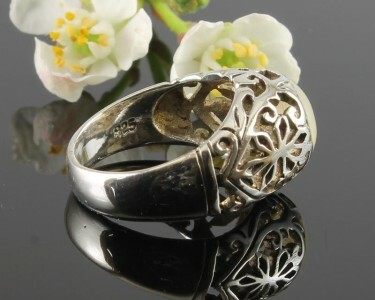 Wear It With : This delightful, classic style ring will enthuse a captive audience. 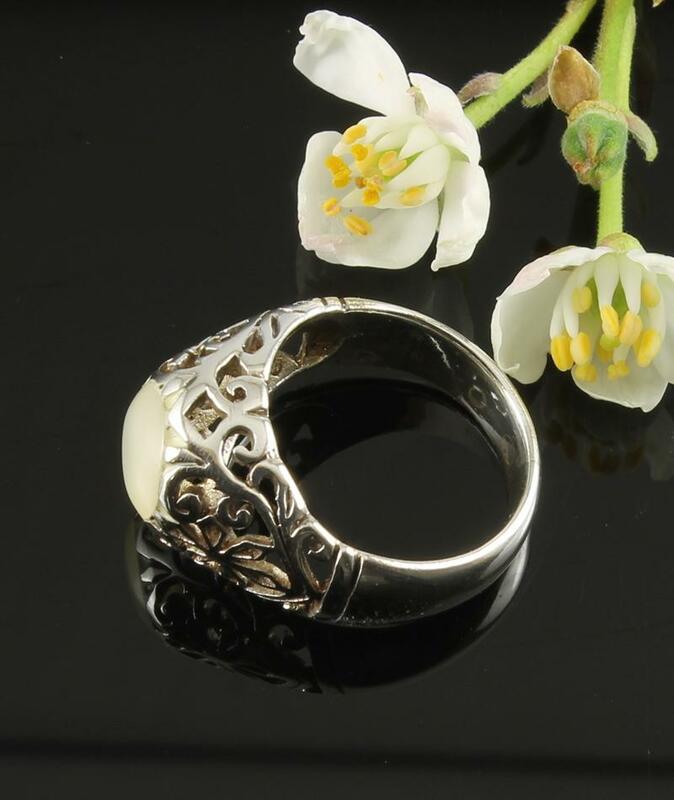 It is sufficiently subtle to be worn with any of your outfits, but will naturally lighten up your darker shades, especially black, navy and grey. 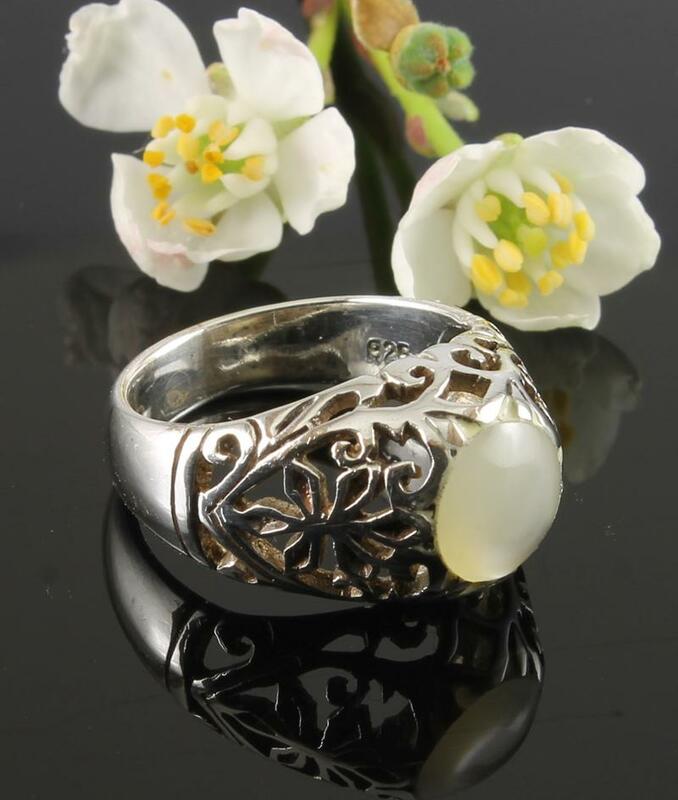 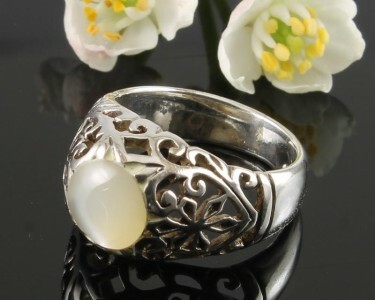 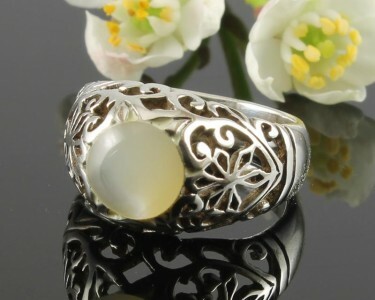 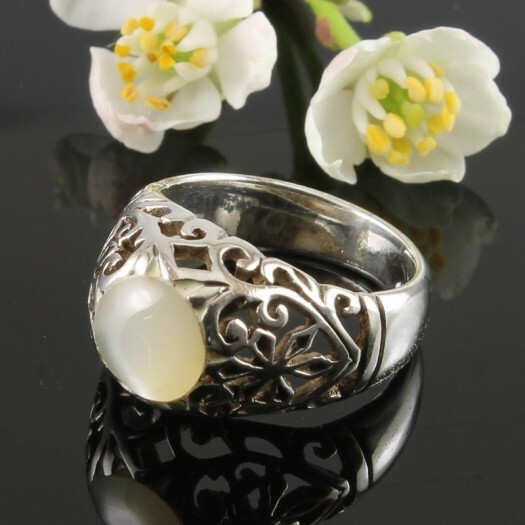 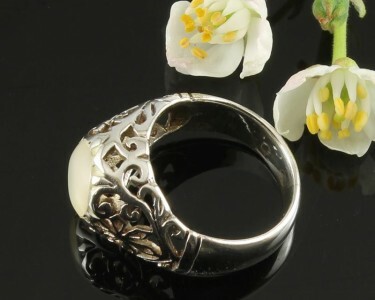 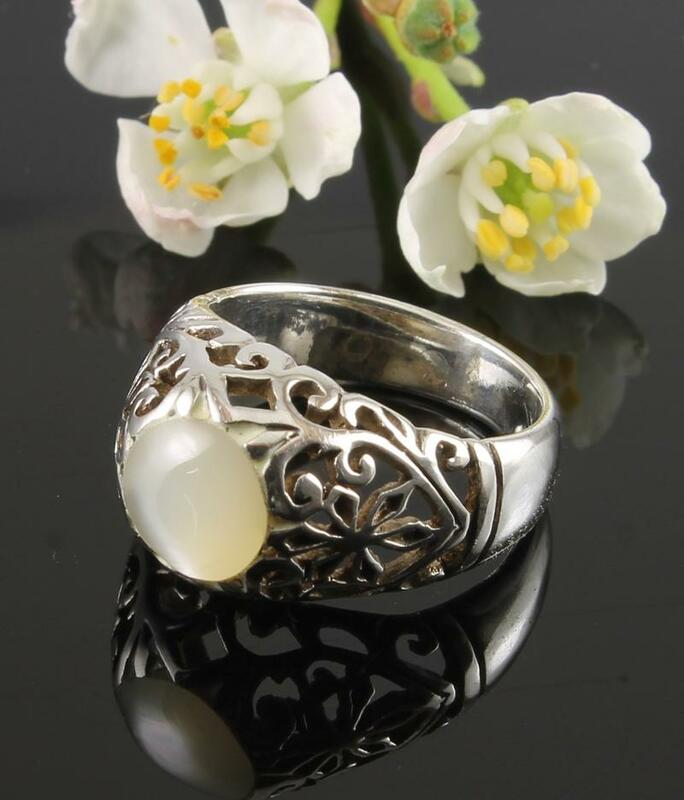 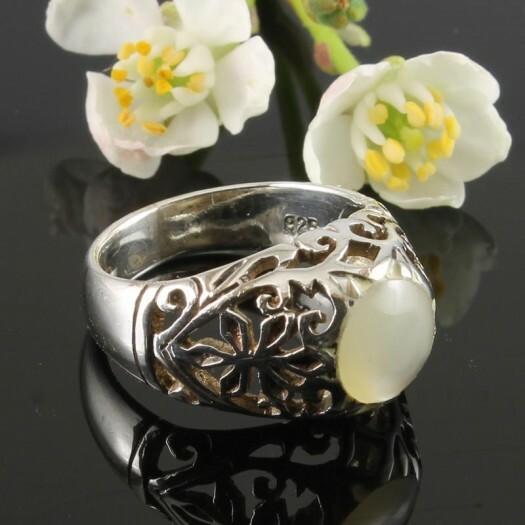 This ring will also provide an inspiring match for your other Moonstone and Sterling Silver jewellery.